- AWA Superclash III (December 13, '88) = Bloom was pinned by Jimmy Valiant. - AWA World Tag-Team Title Tournament (October '89) = The Destruction Crew (Bloom & Mike Enos) took out Sergeant Slaughter & Baron von Raschke and Greg Gagne & Paul Diamond to earn the vacated AWA World Tag-Team Titles. - AWA Superclash IV (April '90) = The Destruction Crew lost a Steel Cage Tag Match to Paul Diamond & the Trooper. - WWF Survivor Series '91 (November 28) = The Beverly Brothers (Beau & Blake Beverly) & the Nasty Boys fought in an "Elimination" Match with the Bushwhackers and the Rockers. Beau was eliminated by Shawn Michaels. Both Nasty Boys & Blake 'survived'. 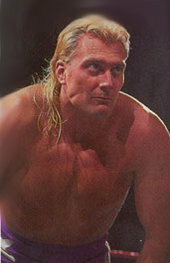 - WWF Royal Rumble '92 (January 19) = The Beverly Brothers defeated the Bushwhackers. - WWF Saturday Night's Main Event #30 (January 27, '92) = The Beverly Brothers lost to "Hacksaw" Jim Duggan & Sergeant Slaughter. - WWF Wrestlemania VIII (April 5, '92) = The Beverly Brothers, in a dark match, were beaten by the Bushwhackers. - WWF Summerslam '92 (August 29) = The Beverly Brothers were defeated by the WWF Tag-Team Champions, the Natural Disasters. - WWF Survivor Series '92 (November 25) = The Beverly Brothers & Money, Inc. competed in an "Elimination" Match against the Nasty Boys & the Natural Disasters. 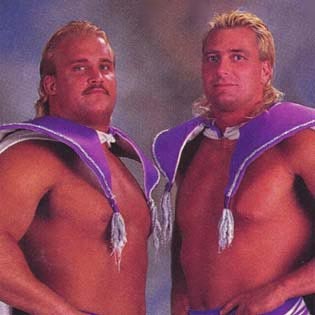 The Beverly Brothers were eliminated when Earthquake pinned Beau. The Nasty Boys "survived". - WWF Royal Rumble '93 (January 24) = The Beverly Brothers lost to the Steiner Brothers.